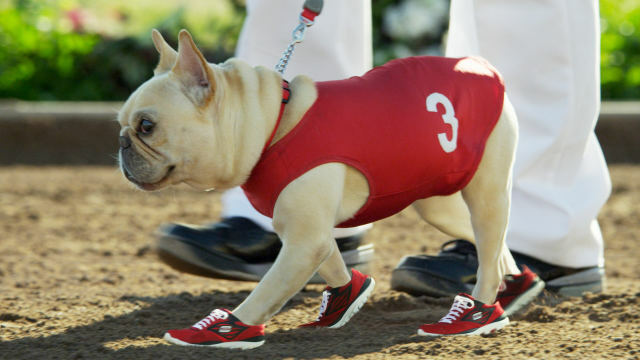 The Skechers Super Bowl 2012 Ad will feature a cute little dog and a pack of Greyhounds. Mark Cuban will have a cameo and the ad is promoting the Skechers GOrun shows. Sorry, Kim Kardashian will not be in this year's ad. The contract with Skechers ended last year. Skechers has just released two photos (see hi-res photos below) from the set of the Skechers Super Bowl 2012 commercial. The photos unveil the star of the Skechers Ad - Mr. Quiggly, the cute little dog. Mr. Quiggly is wearing GOrun shoes. 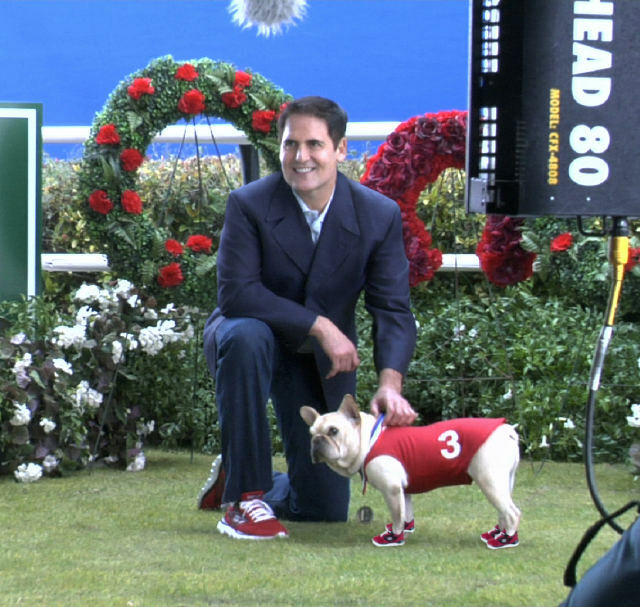 Another photo shows Mark Cuban and Mr. Quiggly wearing matching sneakers. The full Skechers Super Bowl 2012 Ad has been released online. Watch it now. Despite the controversy about the use of Greyhound dogs raised by animal rights groups, the Skechers Super Bowl 2012 Ad looks to be candidate for the funniest Super Bowl 2012 ad. I wonder if the GORun shoes Mr. Quiggly is wearing in the first photo below are computer graphics or real. The Super Bowl 2012 is taking place in Indianapolis on February 5th, 2012. Super Bowl Ads for Geeks is covering everything there is to know about the Super Bowl 2012 Ads and more, leading up to the big game. The coverage on Super Bowl Ads for Geeks extends our famous Super Bowl for Geeks Guide on I4U News. Bonus: Watch all Super Bowl 2011 Ads.